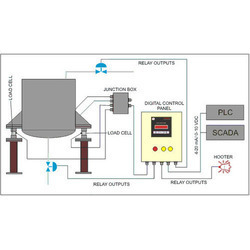 Our range of products include pwd scada system and construction scada system. Mobile plants like drum mix plants and concrete batching plants for these plant a system is designed to record such data and upload directly to PWD website. From these system we measure the proportion of Agg, Cement and water are mixed in RD mixer/Batching plant per batch cycle. 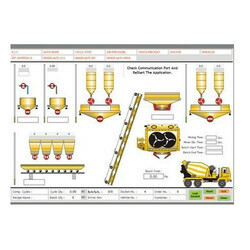 The animated plant images gives the real feel of the operation of the plant with on line information and controls. Coarse and Fine value fill operation. Inching operation on / off, during aggregate fill. Hold/Resume function to halt batch in between. Mixer discharge gate, Truck present or not etc..